The Cabinet Secretary is the most senior officer of the IAS. The appointee for the office is approved by Appointments Committee of the Cabinet headed by Prime Minister, based on the appointee's ability and the confidence of the Prime Minister. 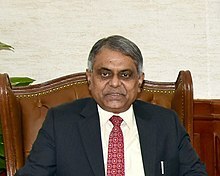 The Cabinet Secretary (IAST: Maṃtrimaṇḍala Sachiva) is the top-most executive official and senior-most civil servant of the Government of India. The Cabinet Secretary is the ex-officio head of the Civil Services Board, the Cabinet Secretariat, the Indian Administrative Service (IAS), and all civil services under the rules of business of the government. The Cabinet Secretary is the senior-most cadre post of the Indian Administrative Service, ranking eleventh on the Indian order of precedence. The Cabinet Secretary is under the direct charge of the prime minister. In 2010, the Cabinet Secretary's term length was extended to a maximum of four years, giving the then-incumbent an additional year in office. The precursor to the cabinet, the Executive Council of the Viceroy, used to have a Secretariat, which was headed by the Private Secretary of the Viceroy. At first, the role of this Secretariat was merely to take care of the paperwork related to the Executive Council but when the work of the individual departments under the Council increased, the work of the Secretariat too became more complex. The Private Secretary came to be known as the secretary of the secretariat. And this post became more powerful over time as the Secretariat’s main role became coordinating the work of the departments. In 1946, the secretariat became cabinet secretariat and the secretary became the Cabinet Secretary. After Independence in 1947, the functions of the Secretariat underwent major changes. A series of committees on economic, defence and intelligence matters was constituted under the Cabinet Secretariat. Most of the departments created after Independence functioned under the Cabinet Secretariat and were later seconded to the respective ministries. The position holder is accountable for ensuring that the civil service is equipped with the skills and capability to meet the everyday challenges it faces and that the civil servants work in a fair and decent environment. Acts as the chief coordinator of the central government. Acts as the chairman of the Civil Services Board, which among other things, recommends empanelment of officers, for the ranks of secretary, additional secretary and joint secretary. Act as the chairman of the Committee of Secretaries on Administration. Act as the chairman of the Conference of Chief Secretaries of States. Recommends postings of officers of the rank of secretary and additional Secretary to the Appointments Committee of the Cabinet (ACC). Acts as the chairman of Senior Selection Board, which recommends postings of officers of the rank of joint secretary in the Union Government to the Appointments Committee of the Cabinet (ACC). Acts as a senior adviser to the prime minister. Provide assistance to the Council of Ministers. Prepares the agenda of the cabinet and minutes its meetings. In the Government of India Allocation of Business Rules, 1961, the Cabinet Secretariat finds a place in the First Schedule to the Rules. The subjects allotted to this Secretariat are, firstly, secretarial assistance to Cabinet and Cabinet Committees, and secondly, the Administration of the Rules of Business. The Cabinet Secretariat is responsible for the administration of the Transaction of Business Rules, 1961 and the Allocation of Business Rules, 1961 of the Government of India, facilitating smooth transaction of business in ministries/departments of the Government by ensuring adherence to these rules. The Secretariat assists in decision-making in Government by ensuring Inter-Ministerial coordination, ironing out differences amongst ministries/departments and evolving consensus through the instrumentality of the standing/ad hoc Committees of Secretaries. Through this mechanism, new policy initiatives are also promoted. The Cabinet Secretariat ensures that the President of India, the Vice-President and Ministers are kept informed of the major activities of all departments by means of a monthly summary of their activities. Management of major crisis situations in the country and coordinating activities of the various ministries in such a situation is also one of the functions of the Cabinet Secretariat. The Cabinet Secretariat comprises three wings: Civil, Military and Intelligence. The Civil wing is considered to be the main wing and provides aid, advice and assistance to the Union Cabinet. The purpose of having the Military wing is to have better coordination in Intelligence and to provide secretarial assistance to the Defence Committee of the Cabinet and the National Defence Council. 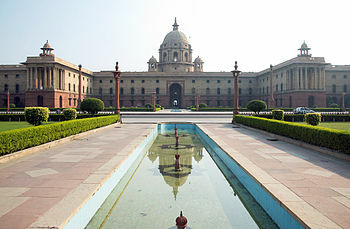 The Military wing is represented by an officer of the rank of major general, or its equivalents in the Indian Armed Forces, who is designated as a joint secretary in the Cabinet Secretariat. The Intelligence wing deals with matters pertaining to the Joint Intelligence Committee of the union cabinet. The chief of the Research and Analysis Wing (R&AW) also officially first reports to the Cabinet Secretary, and is designated Secretary (R) in the Cabinet Secretariat. The First Administrative Reforms Commission (1966–70) found that the average tenure of the Cabinet Secretary was two years and eight months, which was considered to be inadequate. It recommended a tenure of three to four years. It also wanted that Cabinet Secretary to act as the principal staff officer to the prime minister, the cabinet and the cabinet committees for important matters. As head of the Civil Services, the incumbent position holder is accountable for ensuring that the civil services are equipped with the skills and capability to meet the everyday challenges it faces and that civil servants work in a fair and decent environment. The Cabinet Secretary is arguably India's most powerful bureaucrat and the right hand of the Prime Minister of India. The Cabinet Secretary to Government of India is eligible for a diplomatic passport. The official earmarked residence of the Cabinet Secretary is 32, Prithviraj Road, New Delhi, a Type-VIII bungalow. The salary and emolument in this rank is equivalent to Chief of the Army Staff, and its equivalents in the Indian Armed Forces. N. R. Pillai 6 February 1950 13 May 1953 2 years, 7 months, 8 days He was a member of the Indian Civil Service. He was the first head of the civil service since Independence of India. Y. N. Sukthankar 14 May 1953 31 July 1957 4 years, 2 months, 17 days He was a member of the Indian Civil Service. M. K. Vellodi 1 August 1957 4 June 1958 10 months, 3 days He was a member of the Indian Civil Service. He earlier served as Chief Minister of Hyderabad State. Vishnu Sahay 1 July 1958 10 November 1960 2 years, 4 months, 9 days He was a member of the Indian Civil Service. B. N. Jha 10 November 1960 8 March 1961 3 months, 26 days He was a member of the Indian Civil Service. Vishnu Sahay 9 March 1961 15 April 1962 1 year, 1 month, 6 days He was a member of the Indian Civil Service. S. S. Khera 15 April 1962 18 November 1964 2 years, 7 months, 3 days He was a member of the Indian Civil Service. He is the first Sikh to become Cabinet Secretary. He was known for use of tanks against rioters in Meerut riots of 1947. Dharma Vira 18 November 1964 27 June 1966 1 year, 7 months, 9 days He was a member of the Indian Civil Service. D. S. Joshi 27 June 1966 31 December 1968 2 years, 6 months, 4 days He was a member of the Indian Civil Service. B. Sivaraman 1 January 1969 30 November 1970 1 year, 10 months, 29 days He was a member of the Indian Civil Service. T. Swaminathan 1 December 1970 2 November 1972 1 year, 11 months, 1 day He was a member of the Indian Civil Service. B. D. Pande 2 November 1972 31 March 1977 4 years, 4 months, 29 days He was a member of the Indian Civil Service. He is the longest-serving Cabinet Secretary ever in the history of Independent India. N. K. Mukarji 31 March 1977 31 March 1980 3 years He was a member of the Indian Civil Service and the last ICS officer to become head of the civil service of Independent India. S. S. Grewal 2 April 1980 30 April 1981 1 year, 28 days He belongs to the Indian Administrative Service (PB:1949 batch). C. R. Krishnaswamy Rao 30 April 1981 8 February 1985 3 years, 9 months, 9 days He belongs to the IAS (AP:1949 batch). P. K. Kaul 8 February 1985 22 August 1986 1 year, 6 months, 14 days He belongs to the IAS (UP:1951 batch). B. G. Deshmukh 23 August 1986 27 March 1989 2 years, 7 months, 4 days He belongs to the IAS (MH:1951 batch). T. N. Seshan 27 March 1989 23 December 1989 8 months, 26 days He belongs to the IAS (TN:1955 batch). He is the shortest serving Cabinet Secretary ever in the history of Independent India. V. C. Pande 23 December 1989 11 December 1990 11 months, 18 days He belongs to the IAS (RJ:1955 batch). Naresh Chandra 11 December 1990 31 July 1992 1 year, 7 months, 20 days He belongs to the IAS (RJ:1956 batch). S. Rajagopal 1 August 1992 31 July 1993 11 months, 30 days He belongs to the IAS (MH:1957 batch). Zafar Saifullah 31 July 1993 31 July 1994 1 year He belongs to the IAS (KA:1958 batch). Surendra Singh 1 August 1994 31 July 1996 1 year, 11 months, 30 days He belongs to the IAS (UP:1959 batch). T. S. R. Subramanian 1 August 1996 31 March 1998 1 year, 7 months, 30 days He belongs to the IAS (UP:1961 batch). Prabhat Kumar 1 April 1998 31 October 2000 2 years, 6 months, 30 days He belongs to the IAS (UP:1963 batch). T. R. Prasad 1 November 2000 31 October 2002 1 year, 11 months, 30 days He belongs to the IAS (AP:1963 batch). Kamal Pande 1 November 2002 14 June 2004 1 year, 7 months, 13 days He belongs to the IAS (UK:1965 batch). B. K. Chaturvedi 14 June 2004 13 June 2007 2 years, 11 months, 30 days He belongs to the IAS (UP:1966 batch). K. M. Chandrasekhar 14 June 2007 13 June 2011 3 years, 11 months, 30 days He belongs to the IAS (KL:1970 batch). Ajit Seth 14 June 2011 13 June 2015 3 years, 11 months, 30 days He belongs to the IAS (UP:1974 batch). P. K. Sinha 14 June 2015 Incumbent — He belongs to the IAS (UP:1977 batch). ^ a b c d As chairman. ^ a b "PK Sinha is the top boss". GFiles Magazine. 15 June 2015. Retrieved 24 September 2017. ^ a b "Four years for Cabinet Secretary". The Hindu. 22 July 2010. Retrieved 18 July 2018. ^ a b "Fixed four-year tenure for Cabinet Secretary". The Indian Express. 22 July 2010. Retrieved 18 July 2018. ^ a b "Report of the 7th Central Pay Commission of India" (PDF). Seventh Central Pay Commission, Government of India. Archived from the original (PDF) on 20 November 2015. Retrieved 13 August 2017. ^ a b Biswas, Shreya, ed. (29 June 2016). "7th Pay Commission cleared: What is the Pay Commission? How does it affect salaries?". India Today. Retrieved 24 September 2017. ^ "Even Cabinet Secy's is IAS cadre post: Centre". Rediff.com. 3 March 2008. Retrieved 28 July 2018. ^ "Order of Precedence" (PDF). Rajya Sabha. President's Secretariat. 26 July 1979. Archived from the original (PDF) on 29 September 2010. Retrieved 24 September 2017. ^ a b c d e f g h i j k Laxmikanth, M. (2014). Governance in India (2nd ed.). Noida: McGraw-Hill Education (published 25 August 2014). pp. 3.16–3.17. ISBN 978-9339204785. ^ a b c d e f g h Iype, George (31 May 2006). "What does the Cabinet Secretary do?". Rediff.com. Retrieved 24 September 2017. ^ a b c d "Powers & Duties of Officials". Cabinet Secretariat, Government of India. Archived from the original on 24 September 2017. Retrieved 24 September 2017. ^ a b c "The Current System". Department of Personnel and Training, Government of India. Retrieved 12 February 2018. ^ a b "Army Pay Rules, 2017" (PDF). Ministry of Defence, Government of India. 3 May 2017. Retrieved 24 September 2017. ^ "Cabinet Secretaries Since 1950". Cabinet Secretariat, Government of India. 8 June 2011. Archived from the original on 13 May 2010. Retrieved 15 September 2011.